The purpose of this paper is to investigate the nature of manager-employee relationships and its impact on talent retention. 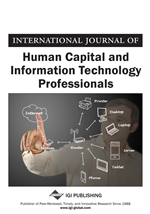 The study discusses the power distance between managers and employees in knowledge-intensive sectors like Information Technology services industry. Grounded Theory Research design was used to explore the research phenomenon. The study was based on the analysis of fifty-two in-depth interviews from employees and managers in IT services industry in India. Purposeful and theoretical sampling designs were used to locate the participants for the study. Grounded theory analytical procedures - Open, axial and selective coding were used to analyse and interpret the interview narratives. The results and discussion of the study are in favour of the Hofstede's (2001) low power distance dimensions that are widely prevalent in organizations in IT services industry in India. However, the study's findings contrast the study conducted by Hofstede in which India was rated relatively high on power dimensions. It has been argued that embodying power in the hands of a few organizational actors has several positive outcomes (Anderson & Galinsky, 2006; Galinsky et al., 2003; Guinote, 2008; Magee and Smith, 2013). While power has often been studied in the context of oppression and inequality, one of the important positive consequences of power is agency and opportunity (Nelson et al., 2004). The existence of stable resources of power enables leaders to take risk and thus can yield higher returns for organizations (Anderson & Galinsky, 2006; Galinsky et al., 2003; Keltner et al., 2003; Maner et al., 2007). Power also helps leaders to focus on attaining goals by helping them to filter irrelevant information and overcome organizational constraints (Guinote, 2007; Guinote, 2004; Van Dijke & Poope, 2006). It has been found that employees often leave their organizations when they are not satisfied with their boss (Carasco-Saul et al., 2015; Hay, 2002; Tims et al., 2011). This can lead to conclusions that asymmetrical power relations between the boss and employees can lead to adverse consequences such as a higher magnitude of attrition. Managers and leaders with power may be able to alter several fundamental tenets of organizational culture (Hofstede, 1980) in order to produce positive change like retention of talent. Depending on the cultural context, there is variance in the legitimacy associated with the exercise of power (Hofstede, 1997). In this paper, the study explores whether the exercise of power is crucial for retaining talent inside organizations. While a variety of employee engagement practices have been held crucial for retaining knowledge workers (Carasco-Saul et al., 2015; Rothwell, 2002), the context of power remains underexplored. The study investigates whether it takes powerful leaders to retain talent which is crucial for delivering performance and innovation in organizations. Employees often want to leave organizations when they feel dissatisfied with the organizational status quo (Allisey et al., 2014). Powerful leaders may have the potential to change the status quo in ways which can energize employees. They may be able to engage with moral, pragmatic and cultural issues in ways which can transform the functioning of organizations (Lumby & Foskett, 2011). Such transformation can in turn arrest the dissatisfaction of employees and incentivize them to stay back in the organization. Thus, contrary to general perceptions that a softening of power positions is necessary, the study argues that clearly delineating power boundaries may be useful in addressing issues such as retention. An important research gap that the study addresses is the relationship between managers/bosses and employees in knowledge-intensive organizations. While it has been identified that bosses may feel threatened by employees and may create circumstances for them to leave the organization (Bhattacharya, 2015), it has not been identified whether this is on account of clear or fluid power boundaries. Prior research has indicated that leaders may take conservative decisions only when they find their power positions to be in jeopardy (Maner et al., 2007). Thus, managers may be hostile to employees only when power relations are fluid enough for managers to be threatened by employees reporting to them. Thus, the study attempts to bridge the research gap of why managers behave in ways which hurt business interests by entering into conflictual relations with employees by integrating the concept of power.